If there’s one thing we’ve learned from our automotive customers this year, it’s this: employing product specialists has vastly improved customer experience and loyalty, as well as lowered dealership employee turnover. More and more dealerships are beginning to adopt this sales model. Why? The traditional ‘road to the sale’ approach isn’t working anymore. Customers are more educated on the vehicles they’re shopping for and therefore don’t want a sales pitch when they come to the dealership. Instead, they prefer to utilize their own research to help speed up the buying process-purchasing their preferred vehicle quickly. The transition from the traditional entry-level sales position to product specialists has allowed our customers to thrust life into their stores. When executed the right way, employing product specialists is a win-win for everyone. The dealership develops their customer satisfaction. The new employee gains an appealing job with a clear career path. And the customers receive better service that motivates them to deliver more referrals to the dealership. 1) Increase Customer Service & Loyalty-The product specialist position allows the customer to shop at their own pace and still have access to additional information, such as vehicle technology or anything else he or she might want to know. This lets the customer build a healthy relationship with the specialists, since they don’t feel like a sale is being shoved in their faces. Plus, when happy customers leave the lot in their new cars, they’re more prone to refer your dealership to their friends and family. 2) Attract Millennial Talent-Now the largest chunk of the US workforce, millennials are ideal for product specialist positions. According to a recent Automotive News article, the pay plan for product specialist positions attracts Gen Y job seekers: ‘The pay structure (for product specialists) also helps the dealership attract recent college graduates to its sales team, which it rarely did before its new structure.’ Also, due to the ever-changing technology in new vehicles, millennials are easily able to adapt and become educated on these advanced vehicles. 3) Develop Sales Team-As the traditional sales model continues to become outdated, more dealerships are going to have to somehow mend the demand of a new sales approach from today’s customers. Under the product specialist model, here’s the basic hierarchy of the sales team according to Automotive News: the specialist works under a team lead or sales manager, who then takes the ‘handoff’ as soon as a customer makes a decision on what car they want to buy. This model has not only been proven to work, but also attract more talent. Today’s job seekers aren’t looking for an entry-level sales position at dealerships. However, a product specialist position that offers an annual salary and a well-defined career path is something any recent college grad can gravitate towards. Overall, this model gets better talent into your dealership, developing your sales team. It certainly helped improve Skillman’s employee turnover rates in the sales department, one of the most vexing personnel problems in automotive retail. 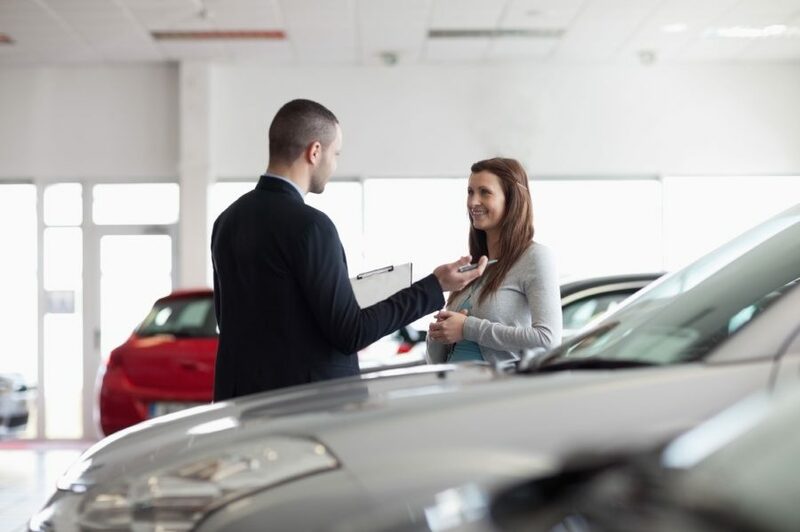 The average turnover at U.S. dealerships among salespeople was 72 percent, according to a 2015 National Automobile Dealers Association study. At Skillman, sales turnover is less than 20 percent, Marlin said, down from more than 50 percent before the new model was adopted. 5) Boost Sales-Customers have an appetite for the changing sales culture that’s striking the auto industry. As technology continues to advance and become adopted at dealerships, customers are going to be drawn towards any tech that can help improve their customer experience. This includes a faster turnaround time-from the time the customers enter the lot to when they purchase the vehicle. By employing product specialists, customers save time by talking directly with the sales manager when they’re ready to make a purchase (cutting out the middleman and wasted time). Therefore, by boosting customer service, you also hike up your sales. One dealership in Atlanta saw a 27% increase in new vehicle sales after implementing the product specialist model to their sales team, as reported by Automotive News. To start transitioning to product specialists at your dealership, download our guide below!